Here is a sneak peek into Wilson's Spring 2012 collection which was introduced in the beginning of September at Exit Art’s gallery in NYC. One of the most unique additions to Wilson Spring collection is all-surface tennis shoe - Wilson Tour Ikon ($120). 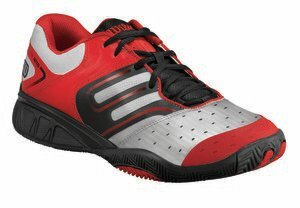 The company bills it as "the first shoe designed for a high level of performance on both hard and clay court surfaces" and claims it is the solution for players who want to carry their shoes on whatever surface they like, and even to asphalt, if needed, for off-court workouts. 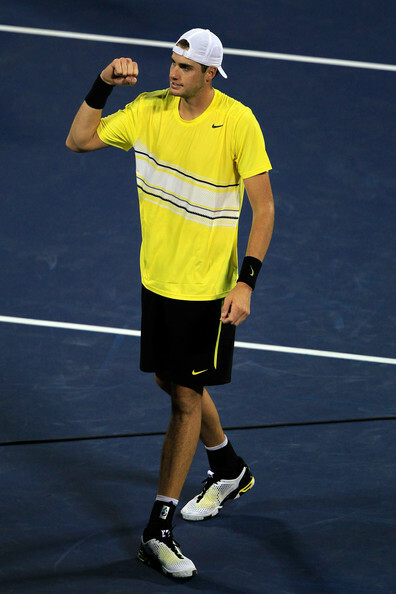 We'll see how the shoe performs in spring, when it will be worn by brand ambassadors including Philipp Kohlschreiber. Though Wilson seems pretty confident in its performance and even backs it with a six-month Duralast Supreme outsole guarantee. So let's wait until January (when it will hit the shelves) and check present Wilson collection to see what is in store now. Urszula Radwanska is a Polish tennis player and the younger sister of top-20 tennis player, Agnieszka Radwanska. As a junior player, Urszula won the 2007 Wimbledon girls’ singles title and finished the year as the number one girls’ junior. This launched Urszula’s professional tennis career, and she has been competing in WTA tournaments ever since. Although Urszula has been ranked as high as number 62 in world rankings, she was out of action for most of 2010 due to spine surgery and dropped more than 130 places in the WTA standings. 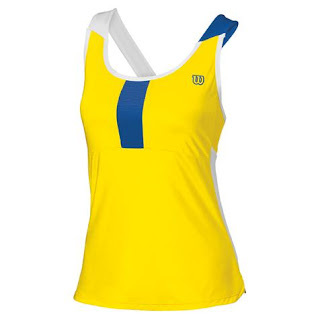 Fact - At this year’s US Open Urszula lost in the first round 2-6, 3-6. Her opponent: Her sister, Agnieszka (gulp)! Feet are not just for decorating on the tennis court - players need to rely on them to get through a tough match. A great tennis shoe must be well made, with features that offer support, durability and good looks! You already know how to choose tennis shoes, now let's see what shoes to choose. 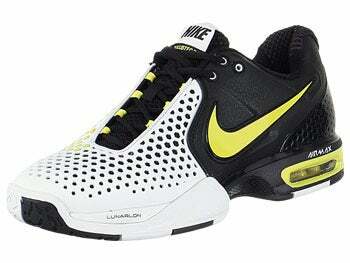 Check out top-5 best men's tennis shoes 2011. And guess what's the best part? Some of them are on sale! 1. 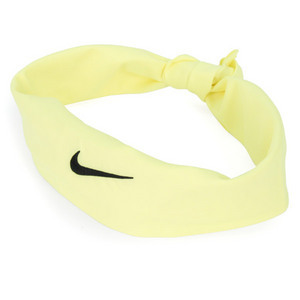 Wanna be like Rafa? Check out his shoe of choice: the Nike Air Max Courtballistec 3.3 ($99)! These trendy tennis shoes offer support, durability and speed – making them the ideal choice for an explosive player like Nadal. Nike improved the durability of this shoe by bulking up the medial side of the upper for more support when sliding into a lateral lunge. The shoe offers comfortable Lunarlon cushioning in the forefoot and air in the heel for “max” shock absorption. The laces are connected to internal straps for a customized fit that adds extra support. To further boost consumer confidence, this shoe features a six-month outsole durability guarantee! Not a fan of apple green? Check out the black, white and blue color combination. 2. The Adidas Barricade 6 Murray Ltd. Edition ($79.95) shoe features Andy Murray's signature on the insole and a cool, custom-designed color combination. 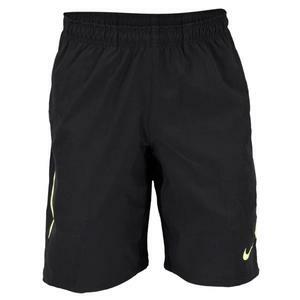 This is a lighter and faster version of the 6.0, with the same renowned support and durability. More flexibility in the upper provides comfort and a quicker breaking-in period for the chic sixth-generation Barricade. 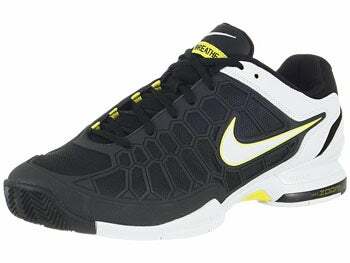 This shoe offers good traction and stability for ultimate hard-court performance. 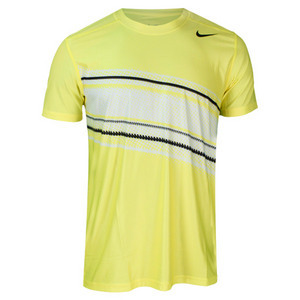 Perforations and the use of mesh keep feet ventilated and cool on court. The Adidas Torsion System and Claw Supports work to provide lateral support and stability, and the six-month outsole durability guarantee makes the Barricade 6 a great pair of kicks for the serious tennis player! 3. Another colorful option with a sleek design and foot-hugging fit is the Adidas AdiZero Feather ($74.95). The tongue is made of thin, synthetic leather which gives the shoe its “feather-like” feel, and the Extended Torsion system wraps around the heel for super-fast cuts on court. AdiTUFF on the toe and medial side offers foot protection, while the AdiWEAR 6 outsole is ideal for all court surfaces. This addition to the Adidas line should thrill players looking for style, speed and extra durability. 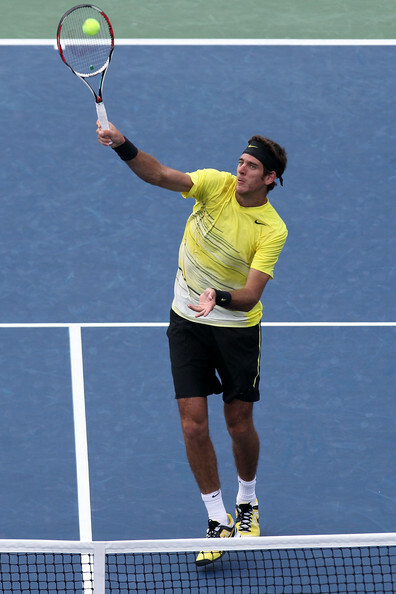 Players who like this trendy tennis shoe include: Fernando Verdaso – hot! 4. 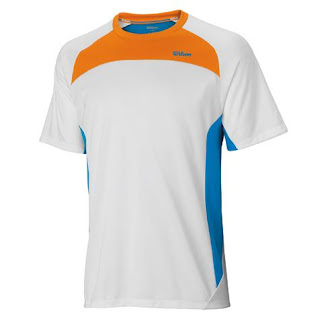 If you are a fan of the color red, the Propulse 3 ($108.95) from Babolat worn by Andy Roddick is hot, hot, hot! Not only good looking, these kicks provide support, stability, traction and a fast feel. At the performance level, the Propulse 3 is the perfect choice for the player looking to enhance speed. The 3-point support system secures the player's foot , from the heel through the mid section, and the Cell-Shield material provides upper durability without giving away comfort. With a natural and responsive fit, this shoe offers elite performance and consumer confidence with a six-month outsole durability guarantee! More conservative players may like the white, black and grey option. 5. 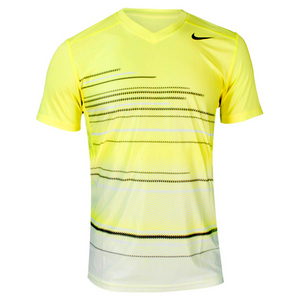 Roger Federer's great-looking shoe is the Nike Lunar Vapor 8 Tour ($120), which offers support, light-weight speed and the stability necessary to compete at the highest level. With out-of-the-box comfort, these great kicks are ready for immediate match play! Lunarlon cushioning through the midsole and a roomy fit (compared to the previous version) offers great response for maximum court speed without giving up comfort. The outsole has been cut with flex grooves for faster movement and performance. Also, the XDR material on the outsole is designed in a herringbone pattern to ensure traction on any court surface. Improved comfort and response make this a great, new update to the Vapor line, and great color selection will make it a great addition to any outfit. If you are a “dyed-in-the-wool, girly-girl” or just a tennis player who appreciates a bit of style and sass, you are sure to love the products at Whak Sak - Even the name is cool! Whak Sak serves up five different sizes and styles of tennis totes and backpacks, artfully made in a crayon-box array of fun colors, and with over thirty different patterns. Whak Sak is a family-owned company that cares about quality and service. Each of the bags is individually hand sewn and carefully inspected to ensure a quality product. 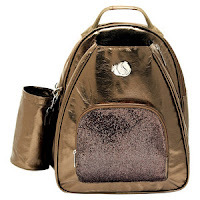 Names like purplicious, uptown girl, vanilla ice, carrot top and pennies from heaven to name a few, show that these bags are trendy and hip, and with a variety of shapes and sizes - they make the ideal gift for tennis lovers! 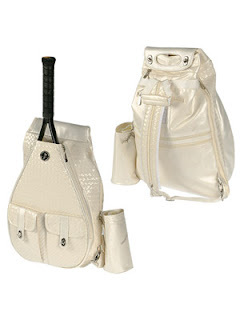 The smallest “Baby Sak” ($59.99) holds two racquets, an after-match outfit, and other essentials – lip gloss maybe? The insulated cooler is detachable, and the padded, convertible straps transform from sling to back pack at your convenience – uber functional! 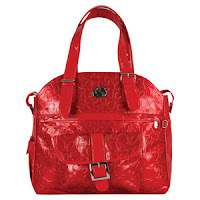 Check out the Small Whak Sak and the Large Whak Sak for similar bags with a slightly larger shape and size. The Whak Sak Ultimate Tote ($79.99) holds up to four tennis racquets with room to spare for other playing essentials. Adjustable straps let you customize your bag for the best fit. In addition to tennis, this tote can be used for travel, for your laptop, or as a trendy baby bag! Show your stylish side when you arrive to the courts toting The Whak Sak ($79.99)! This great bag carries one oversized racquet or two mid-plus sticks, with an artfully-designed expandable compartment. The front pouch contains handy pockets for a cell phone or MP3 player, and the back also features zippered pockets for storage of even more stuff! Like the other back packs, this bag conveniently converts from a sling to a back pack – everything a tennis player needs in one bag! Check out Whak Sak at TennisExpress and Golfsmith . As Polo Ralph Lauren is the official apparel sponsor of our beloved U. S. Open tennis tournament, we get very excited for the launch of each year’s collection honoring this most memorable event. The 2011 collection did not disappoint - introducing a striking color palette and featuring chic and comfortable shirts, jackets, pants, shorts, hats and totes for both men and women. The good news for our readers is that items are still available at www.ralphlauren.com, and wait for it….they are ON SALE! 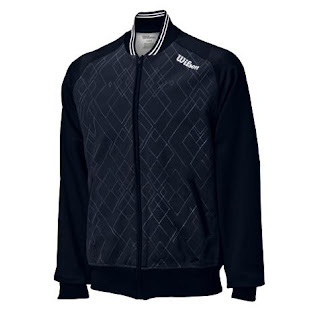 Polo Ralph Lauren developed the 2011 collection in conjunction with its global partnership with the USTA. The company returns for a seventh year to outfit all U. S. Open on-court officials: chair and line umpires and ball persons in a brand that has become an American fashion icon! This modern menswear is designed with a sleek, trim fit. The breathable cotton mesh fabric and bold details make these pieces a necessity for a stylish yet casual wardrobe! These are just a few of the cool, Polo Ralph Lauren U. S. Open accessories available on sale now - check them out! The official, limited-edition U. S. Open polo dress is made from breathable, stretch-cotton mesh and features bold, colorful details and a pleated skirt. The U. S. Open long-sleeved track jacket is constructed of comfortable, lightweight microfiber with colorful accents – classic! These official, limited-edition U. S. Open warm-up pants are fashioned from breathable, stretch Pima cotton – a classic blend of comfort and style! From the unexpected rise of Donald Young to the comeback win of Caroline Wozniacki (down 7-6, 4-1 to Svetlana Kuznetsova) to the crazy rain delays – the 2011 U. S. Open certainly hasn’t been without excitement. That goes for fashion as well. Many styles have been a joy for the gawking and some, well… not so great. Behold – our “wear this, not that” analysis of this year’s styles at the Open. 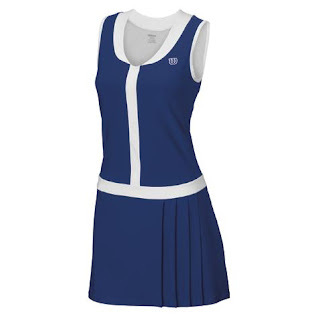 Two blonds in mega-sponsor, “made for them” tennis dresses with very different results: While Caroline’s Stella McCartney for Adidas tennis dress is well-cut and stylish - it is virtually devoid of color, giving her a pale, translucent, unremarkable complexion. Both Maria’s daytime and nighttime dresses sport contrasting details and snippets of color, making them a far more interesting and complementary choice for a blond. Note to Miss W. – Just a little color goes a long way! And then there are two not-so-sponsored brunettes. Julia Georges of Germany shows us that you can still look very fashionable on court, even without a “made for you” look. 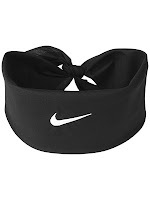 She is cute and coordinated in this comfortable-looking outfit which is identical to Petra Kvitova’s (except for the stylish visor vs. a not-so-attractive headband). We love these bright pink and orange hues on brunettes – they can really bring out a darker skin tone, however in the case of Christina McHale of the U. S., there is just a little too much of a good thing – we strongly recommend a crisp, white top – perfecto! All in all the styles at the Open this year were for the most part, tasteful (which is why the men have been left out of commentary completely), but we feel compelled to make one last observation. Love of country is terrific, but there is something to be said for a little discretion, as in these “NOT THAT” photos!! Louk Sorensen (left) is from – you guessed it – Ireland. 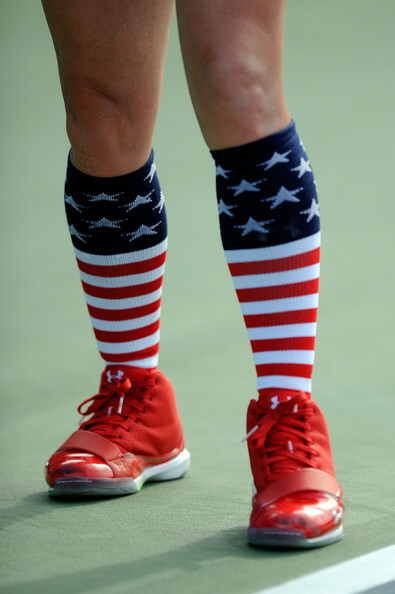 And we bet you can guess who these legs belong to and what country Ms. Mattek –Sands is from….yikes! Ticketamerica.com has access to your favorite theater events like radio city music spectacular seating and the hit broadway show wicked as well as all lion king theatre tickets in all cities.